​​Your charitable donations, sponsorships, and volunteer hours make an impact for individuals and families facing the challenges of substance use, addiction, and related issues in our Community. 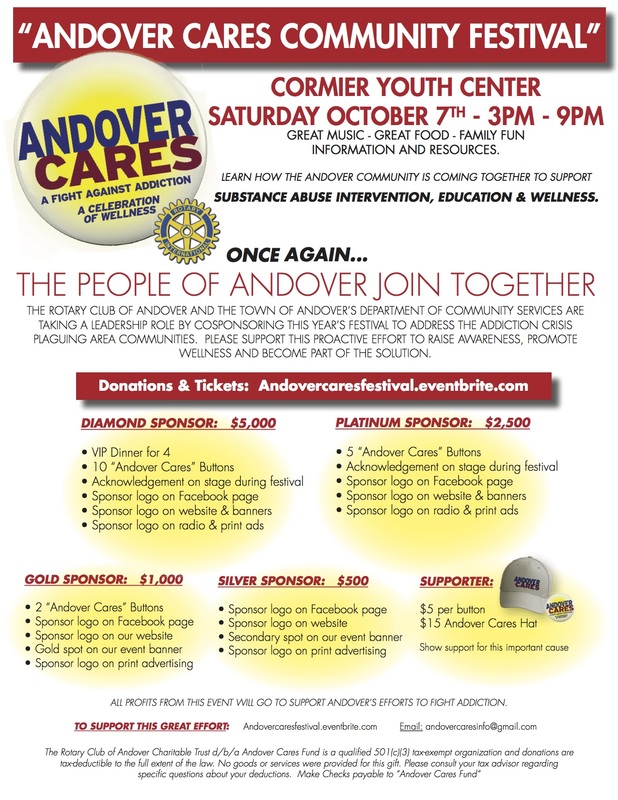 This support helps Andover Cares raise awareness, host educational events, and support great work in Andover to address these devastating situations. Funds raised for the Andover Cares Fund support Grants that address Andover's multi-tiered approach to this crisis in our community: education, prevention, and awareness. 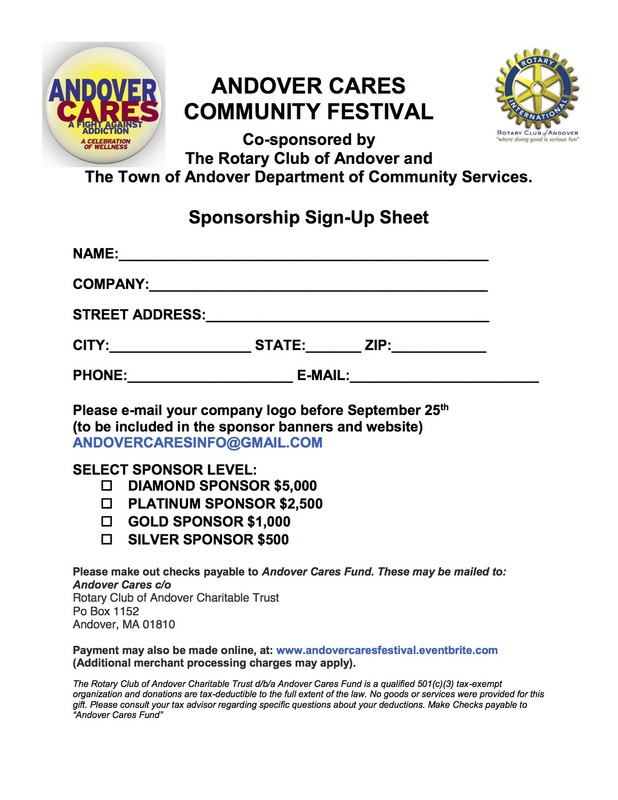 In our first two years, we raised a significant amount from private donations & sponsorship which enabled us to put on the Andover Cares Festivals as well as present Grants for programs to assist our community. So far we have distributed $10,000 to successful Grant applicants. Our goal in 2017 is to award a significant increase in Grants which will be raised through the Family Festival in September 2017, sponsorship and from private donations.